Our weekly social program makes it easier for you to improve your English, make friends, and have loads of fun! Tuesday: School trip on the ferry to Devonport. 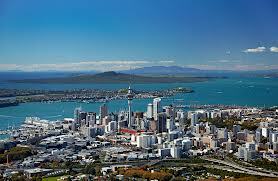 A really great way to see Auckland's beautiful harbour and enjoy the sun. Wednesday: Waitangi Day today! It is a public holiday so LSI will be closed. You should take the chance to explore the city some more. Thursday: School trip to MOTAT. Friday: Happy hour at Playhouse Bar with Brad, 4pm-6pm. You must be over 18. See the activity sign-up sheets on Level 1 for more information. To book or for more information please see Matthew on Wednesday and Thursday at lunch time on level 1.